There’s a lot going on in the world of stem cells making for many striking headlines lately. Here are some stem cell headlines that caught my attention. 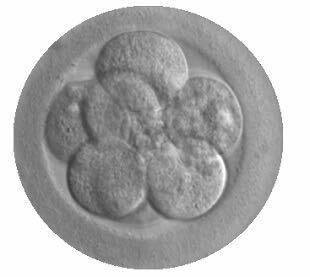 Haploid Stem Cells Created. Could these cells be used to make germ cells? In the CRISPR patent fight, the Broad Institute gains edge. The CRISPR-Cas9 patent chess match continues and some think Broad has slight advantage at this point. CIRM grant to fund proposed stem cell trials for ALS. Go CIRM 2.0. Removing Epigenetic Post-it Notes Returns Stem Cells to Unprimed State. Epigenetics is a very cool field. Kirk, Manchin, Collins Introduce REGROW ACT, which if passed would dangerously weaken FDA oversight of stem cells. Stay tuned for more on this bill later this week. Poor reporting on the CRISPR battle on the part of STAT. Basically, motions were deferred or denied only because the Board appears to initially be focusing on the priority issue, and those motions are not relevant to the priority issue (the Board is not saying that they don’t have merit). For example, Berkeley’s motion to argue misconduct on the part of Zhang was denied for this reason, but the Board also said that Berkeley can apply this argument again later if and when the timing is right (this was not mentioned in the article). Plus, the article cherry-picked the motions it reported on…for example, Broad’s motion to ague lack of enablement for Berkeley was also deferred (not granted), but this was also not mentioned in the article. It’s way premature to say that either side has an advantage. Maybe some bias because STAT is Boston-based? Thanks for the insight, Shinsakan, on the patent situation. Would it be SOP for the Board to focus first on the priority issue? In this kind of situation, I would imagine so because it would be the easiest and most objective way to knock either the Broad or Berkeley out and end the whole thing. Basically, they are looking for ways in which either side might not even have standing in the interference because then there would be no reason to move further in the proceeding and they could stop right there. More of the Broad’s requests appear to have been granted for this phase of the proceeding, but that doesn’t mean anything. The decisions will be made on the basis of the quality and merit of the arguments applied, not on the number of granted requests to file motions. Is this more snake oil, or is it legitimate? This makes it difficult to unambiguously asses what may or may not be going on with respect to “fat stem cells”. The natural process would, I strongly suspect, involve the various types of adult stem cell that are usually to be found in the knee.